Duane and Mike are all smiles after the win! 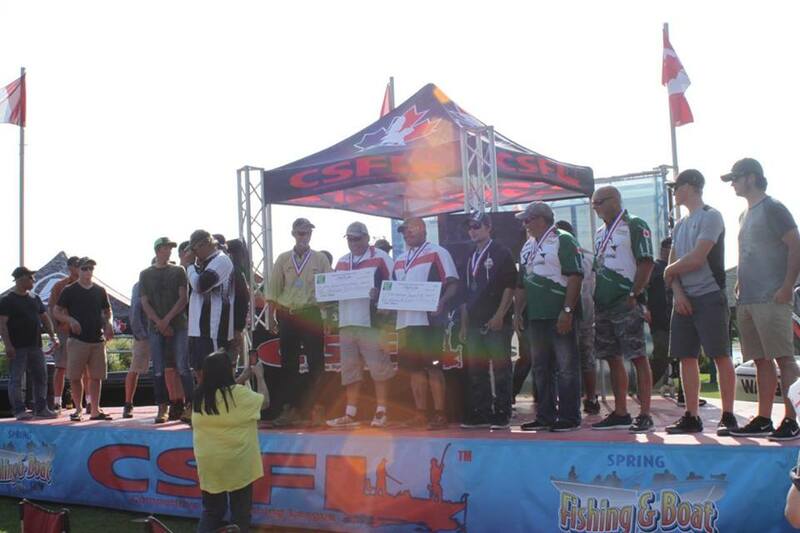 The 2018 CSFL Classic returned to the rugged shores of Stoney Lake in North Kawartha, Ontario on September 8 to 10th. The dynamic duo from Curve Lake, Mike Williams and Duane Jacobs were crowned champions again one year after their first Classic win. Williams and Jacobs bested the 78 team field with a three day total of 40-85lbs. Father and son team Stuart and Jesse Evans missed the win by a razor’s edge with 40-4lbs. Third was captured by Cesare Ruscio and Mike Quesnelle who sacked 39-7lbs. 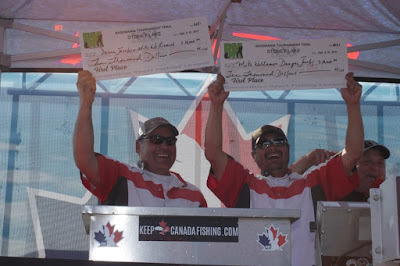 IBASSIN.com chatted with the newly crowned champs for a rundown on how they secured back-to-back Classic wins on Stoney Lake. secure a few good smallmouth during the morning as they waited until the afternoon bite would spark. Two chunky smallmouth came over the gunnel that last day, the largest being part of the winning 12.95lb limit. Luckily for them, that smallmouth was a key fish as Sunday became the stingiest of the tournament days with most team barely scratching out 11 pounds. The champs focused on areas more than a true pattern. Each area was fished thoroughly at a variety of water depths. They usually focus on deep weeds on Stoney but this year the fish where scattered. The pair really divvy up duties while team tournament fishing. Mike is on jig duty and Duane throws soft plastics. The key bait was an all black Punisher Jig with a blue plastic chunk trailer. 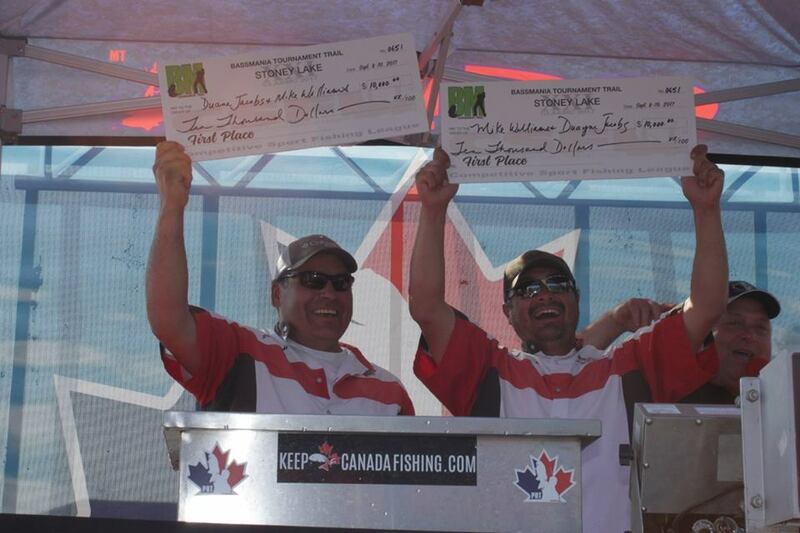 Mike Williams and Duane Jacobs are fierce competitors who have married family, friendship, fishing and fun into a winning package. Jacob Powroznik Going to 2018 BASSMASTER Classic! 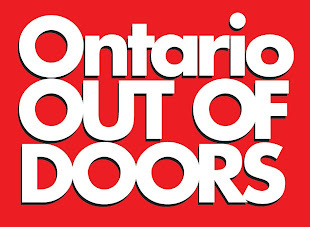 Carleton University Needs Your Help!